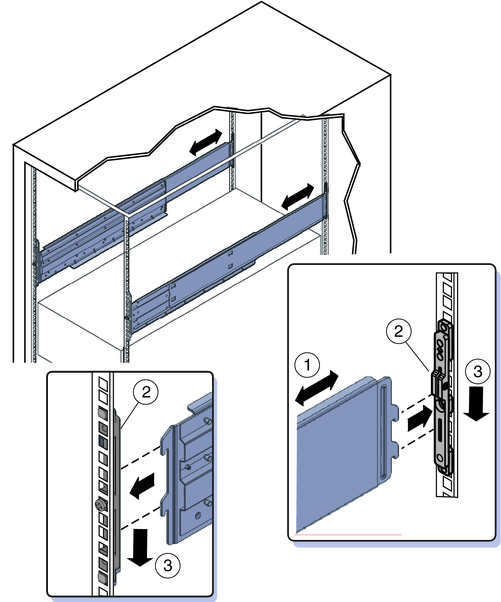 Note - To install rack mounting hardware in round-hole racks, see How to Install the Universal Rack Mounting Hardware in a Round-Hole Rack. 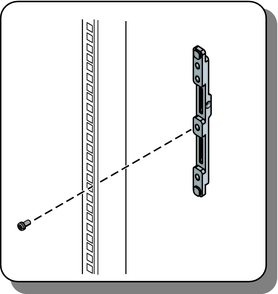 Select the set of adapter brackets for square-hole racks. 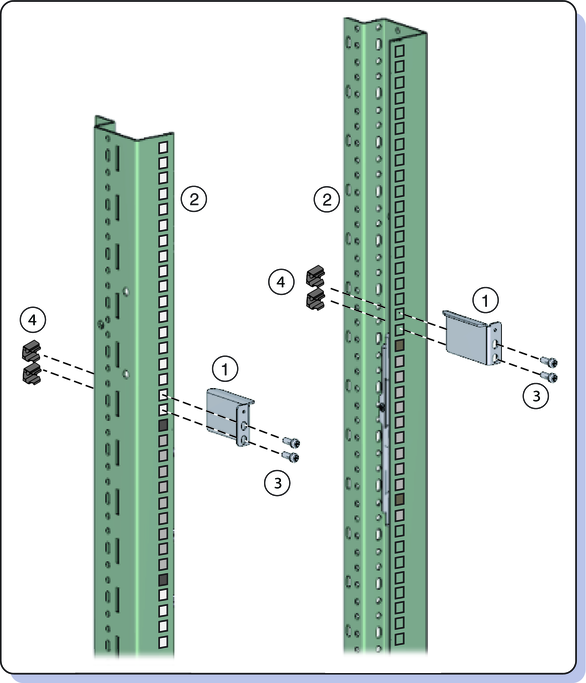 The server ships with two sets of adapter brackets: one for racks with square holes (1) and one for racks with round holes (2). 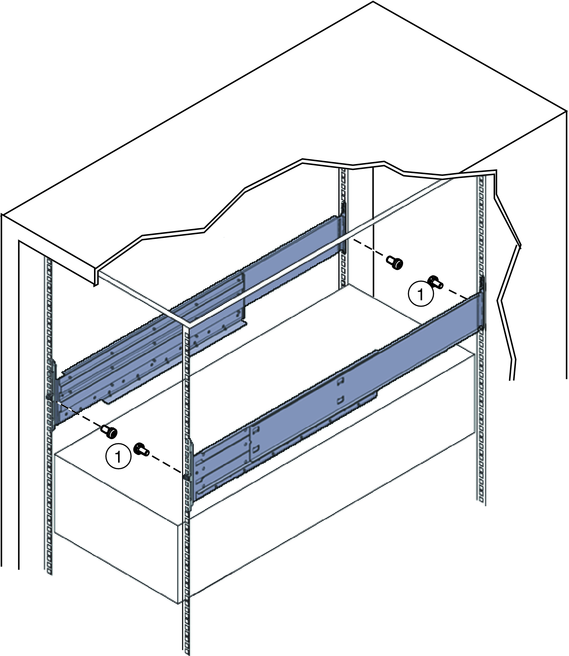 The brackets for square-hole racks (1) have threads. See the following figure. Note - Arrows on the brackets (3) indicate how the bracket should be oriented. 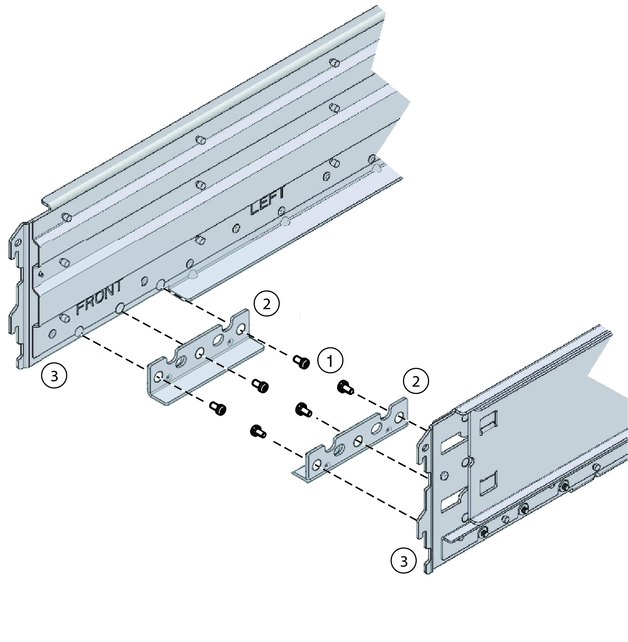 Be sure to install all brackets with the “Top” arrow (3) pointing up. Attach the brackets to the front posts. Place the brackets so that the bottom of the bracket is aligned with the bottom of the (5RU) space where the server will go, and that the arrow labeled “Top” points up. Note - The accessory tray includes a printed template that you can use to help align the adapter brackets. Use one M6 x 12 screw per side. Pass the screw from the outside of the rack, through the holes in the post, and into the threads on the adapter brackets. The other two holes (per side) are used later, to attach the bezel of the server to the rack. Attach the brackets to the rear posts. 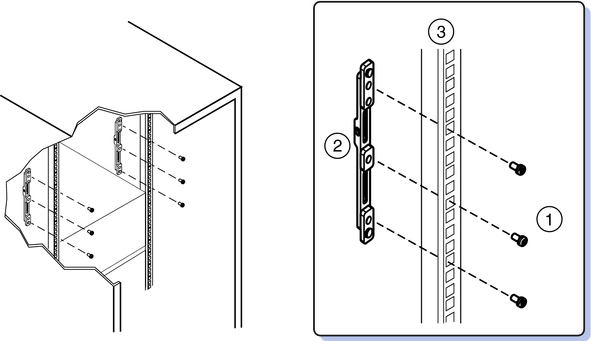 Use three M6 X 12 screws per side (1) to fasten the bracket (2) to the posts (3). 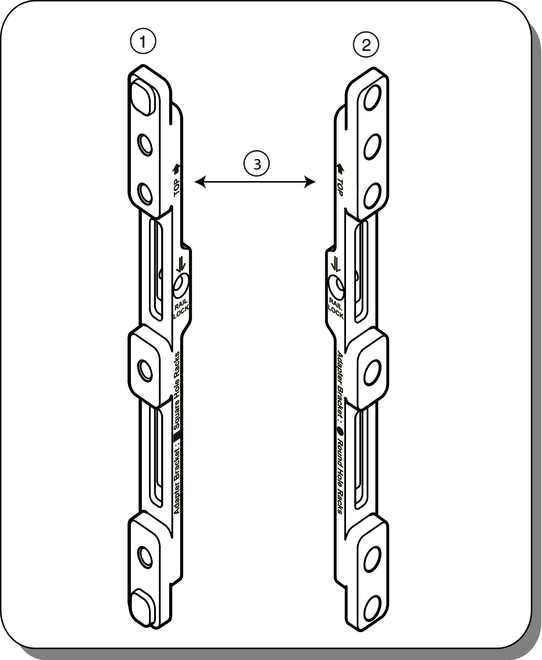 Install two M6 cage nuts (4) per side, and then use two M6 x 12 screws (3).